Published by Enough is Enough. Many of the images are from Twitter account @BCN_Anarchists. Catalan riot cops (Mossos) accompanied the demo on September 30 in full riot gear, but as far as we know there demo was able to march without any major ‘incidents’. 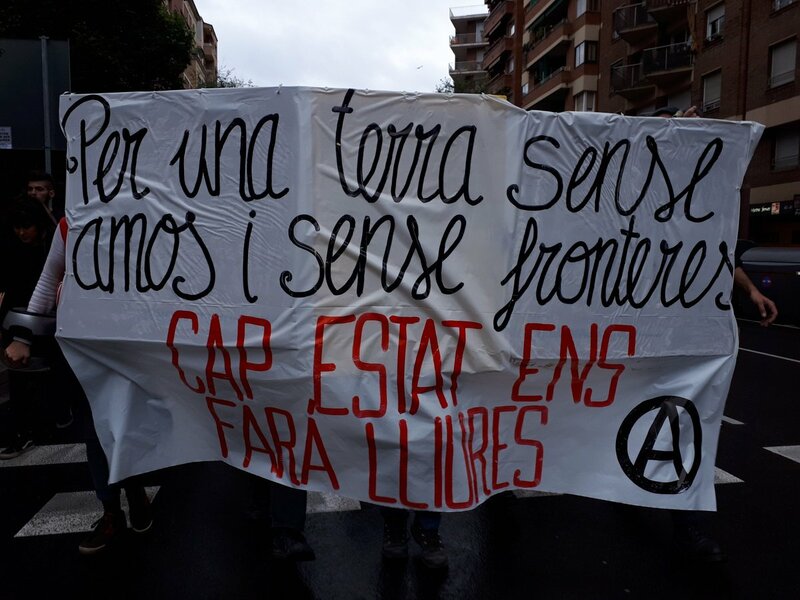 Although many people support the call for a general strike (October 3) and were also on the streets yesterday to support the fight against repression by the Spanish state. Ni Monarquia, Ni Republica from Jane Doe on Vimeo.